Behind every great day is a great night at the newly renovated Comfort Inn hotel in Concord, NH. 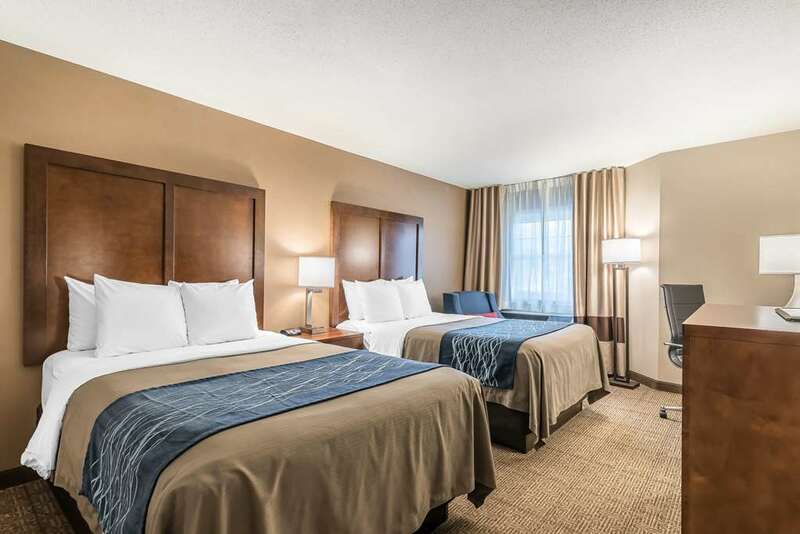 Our pet-friendly hotel is near activities and sites like the Manchester-Boston Airport, Lakes Region, Capitol Center for the Arts and the New Hampshire Motor Speedway. Take advantage of our free WiFi, free coffee, indoor heated pool, meeting space, guest laundry facilities and free hot breakfast. Guest rooms include TVs, hair dryers, coffee makers, irons and ironing boards, microwaves and refrigerators. We also offer membership to the Choice Privileges Program, which gives members the opportunity to earn valuable rewards points toward airline miles, gift cards and free hotel room nights. Pet charge of 15.00 USD per night, per pet; limit two pets per room. All cash-paying guests must provide a valid credit or debit card upon check-in. All credit and debit cards will be authorized for 50.00 USD for incidentals.